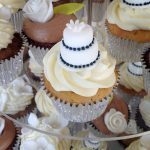 In Cambridge – Looking for a wedding cake? She created these for a wedding we planned for Laura and Chris, and they taste as good as they look! “Cambridge based Pretty Tasty has experience in designing and making cakes from 2 inches to 6 foot high. 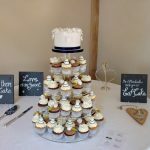 Every cake is bespoke and tailored to the couples specific ideas however off the wall. Great care is taken to ensure our clients get exactly what they want. In 2015 we made it to the regional finals of the Wedding Industry awards which goes to show how much our couples value our expertise, design and most of all their resulting cake! Pretty Tasty take as much care with our cake flavours as we do in the design and decoration and we have been awarded three Great Taste Awards.